Imagine being able to teleport yourself through time and space to imagine life as a spiritual Venetian noble in the 15th Century. Or as a believer in 15th Century Bruges. Two intriguing exhibits at the Getty Center allow museum goers to take those journeys. Firstly, Giovanni Bellini: Landscapes of Faith in Renaissance Venice offers insight into the work of a Venetian master. What is astounding about this exhibit is that it is the first monographic exhibition in America devoted to Giovanni Bellini. This gifted and prolific artist, who when he was already in his seventies, was praised by Albrecht Durer as “still the best in the art of painting” despite the fact that Titian and Giorgione were already on the scene. In one room, viewers are fortunate to be able to view Bellini masterpieces loaned from museums and private collections in Paris, Florence, Venice, and around the globe. The Bellini exhibit underscores the vitality of an Encyclopedic Museum like the Getty Center. Viewers who may not be able to procure plane tickets to Venice, Florence, and Paris at the drop of a hat now have the opportunity to obtain an instant artistic passport to these places by virtue of this exhibit. The passport that one obtains is not only geographical, but also allows one to understand the historical context. For instance, one learns that the paintings in the Bellini exhibit were meant for private devotion for a group of Venetian nobles. These collectors were influenced by the Italian Renaissance humanist Petrarch, whose treatise “De Vita Solitaria” contrasted the corrupting consequences of doing business in an urban center with the restorative process of meditating in solitude. Many patricians recognized the importance of taking a step away from their busy lives to meditate. Davide Gasparotto, who expertly curated this beautiful exhibit, describes the Bellini paintings as “meditational poems” of real and ideal landscapes. Saint Jerome Reading In The Wilderness. 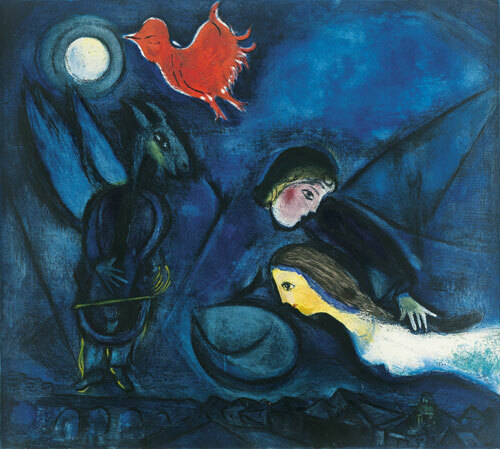 Image Courtesy of the Getty Center. Perspective also plays a key role in Bellini’s “Crucifixion With the Virgin and Saint John the Evangelist.” Bellini painted the cross on a threshold between the painting itself and the viewer, connecting this image to the audience in a impactful and uniquely visceral way. These unusual perspectives as well as the paintings’ relatively small size allows us to imagine ourselves in the room of a 15th Century Venetian patrician. Unlike their Florentine counterparts, the majority of Venetian patricians did not have chapels in their residences, so Bellini’s paintings would have hung in their rooms for private devotion. Just as the Bellini exhibit takes us on a trip to 15th Century Venice, a second complementary exhibit, “Sacred Landscapes: Nature in Renaissance Manuscripts” takes us on a journey through France, Belgium, Germany, England, and Italy. This exhibit, beautifully curated by Bryan C. Keene and Alexandra Kaczenski seamlessly connects with the Bellini exhibit on a thematic and visual level. 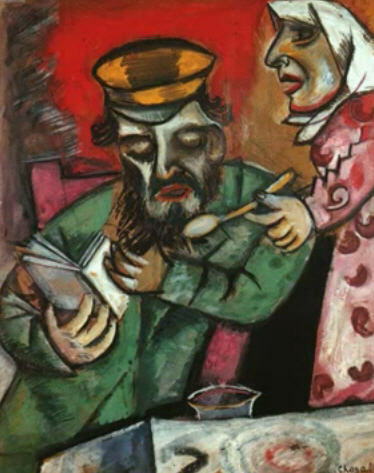 For instance, the image of St. Jerome appears in both. Both exhibits feature nature as spiritual mecca, a theme that harkens back to the Garden of Eden, in which a verdant space epitomizes paradise. But “Nature in Renaissance Manuscripts” takes visual meditation a step further. Many of these books of prayer were used by those saying the rosary. 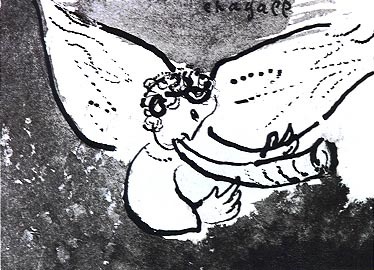 So the second exhibit connects us to the active pilgrim, one who holds the devotional manuscript contemplating blooming roses while grasping rosary beads in one’s fingers. These books connect the visual with the tactile. What is even more illuminating about this exhibit is uncovering the meaning behind the vibrant images of flowers embedded in the margins of the texts- rich floral details which provide clues as to scientific philosophies at the time. For instance, in the image of The Visitation by the Master of the Dresden Prayer Book Mary visits her cousin Elizabeth in which they mutually share their blessed news of being with child. Bordering the image and text of this joyous scene are depictions of pansies, strawberries, columbines, and forget-me-nots. Not coincidentally, these plants were used during this era as a form of pain medication for the pangs of childbirth. The images of fruit have a double meaning. In the “Hail Mary” prayer, Jesus is referred to as “the fruit” of Mary’s womb. By carefully observing these exquisite pages, one can learn much about both the religious and scientific attitudes of the time. 3.3 X 9.4 cm. MS 23 (86) ML. 606) fols. 71v-72. Image Courtesy of Getty Center. Each page of these illuminated manuscripts offers a teachable lesson about botany, religion, or medicine, and often all three simultaneously. Most importantly, they capture a moment in time. Both of these exhibits, one devoted to a Venetian master and the other a journey to arboreal splendor are MUST-SEES. 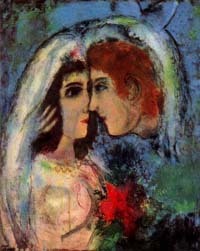 The #1 Search Term on Cultural Cocktail Hour has consistently been—- Marc Chagall!! 3. 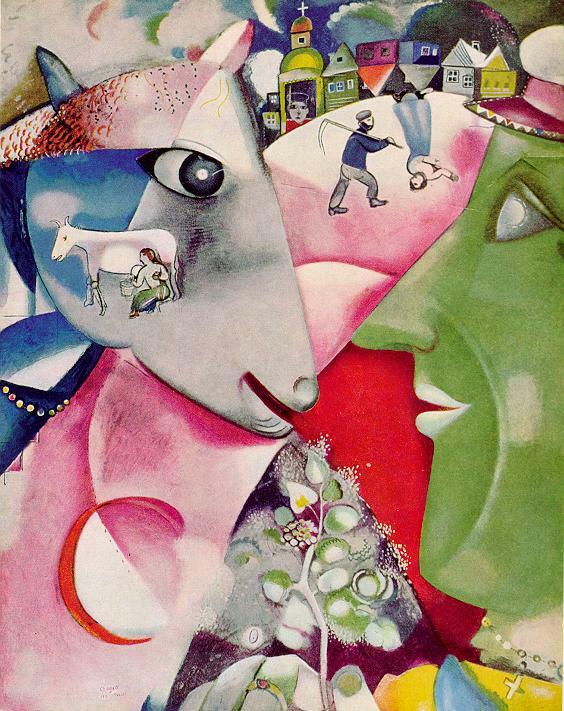 Artistic Style: Chagall invented his own style, blending Cubism, Fauvism, Surrealism, and Expressionism with images from Jewish folklore and legend. 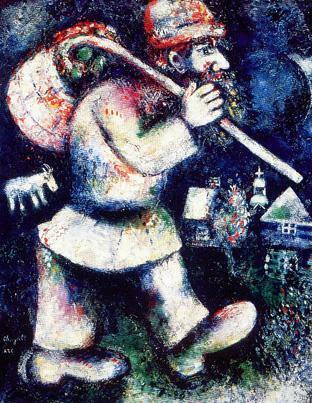 Chagall was born into a Hassidic Jewish family living in Russia. His mother, Feiga Ita, ran a small shop. 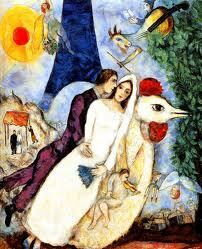 When Moyshe Segal arrived in Paris he changed his name to Marc Chagall. The resourceful painter did not let his lack of money stop him. He painted on canvases made from curtains and even his own shirts. 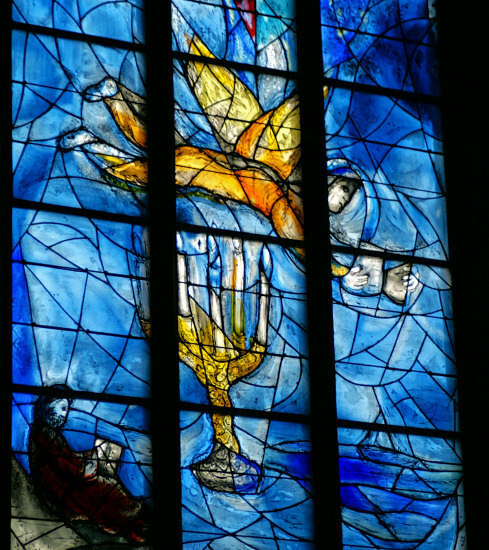 In addition to painting, Chagall also created stained glass windows. 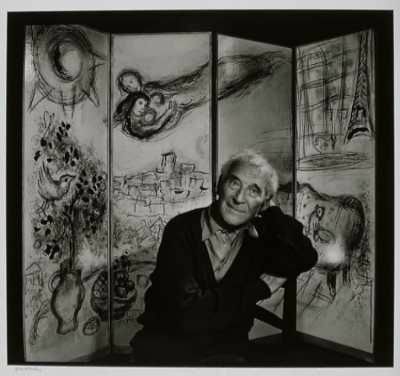 Chagall’s magnificent stained glass can be found in France, Germany, Britain, Switzerland, and the United States. 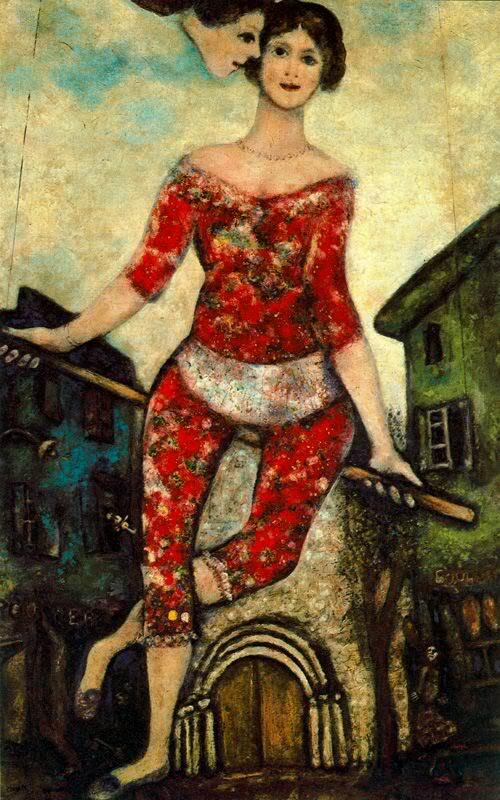 Another image that intrigued Chagall was the circus. 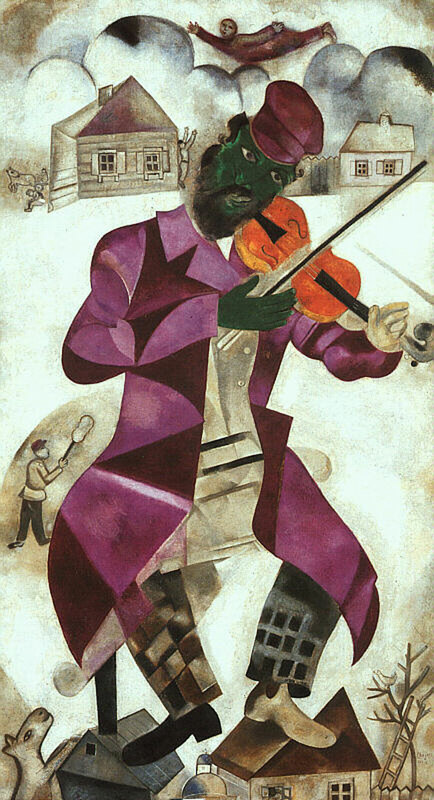 As a child growing up in Russia, he had observed many carnival-like fetes for the Jewish festival of Purim. 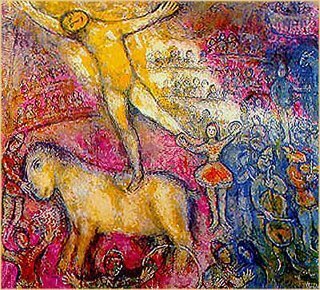 In Paris, Chagall attended the Cirque d’Hiver at the behest of Ambroise Vollard, the prominent art dealer. 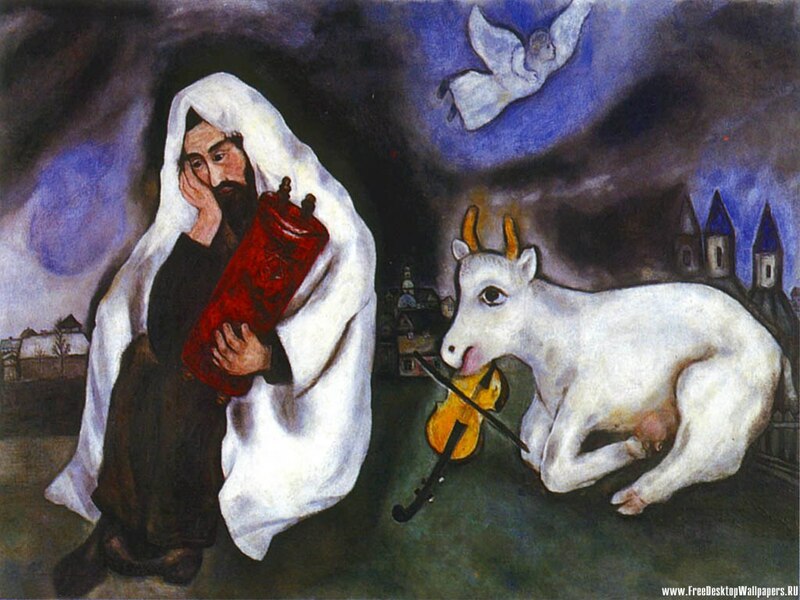 Chagall often infused his work with mystical Jewish symbols. 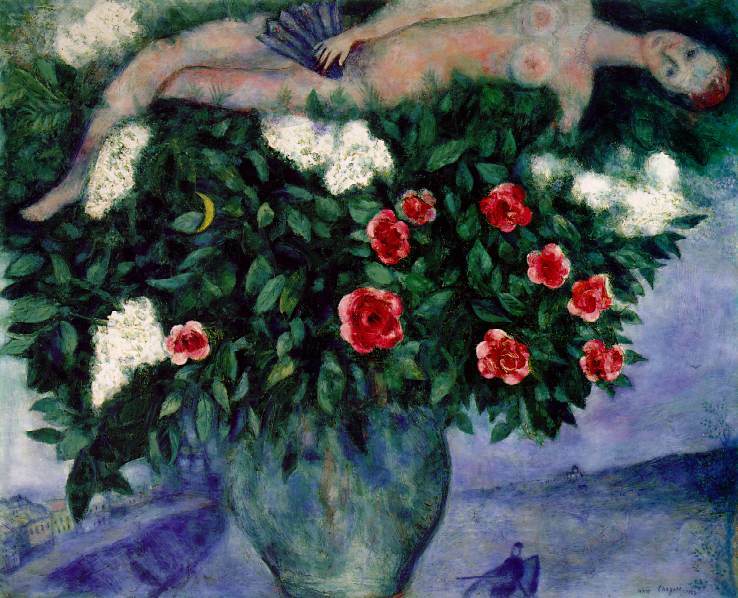 Unfortunately, the Nazi Regime classified his work as degenerate, and Chagall eventually sought exile in New York. His painting, Solitude, poignantly and movingly evokes alienation and loss. 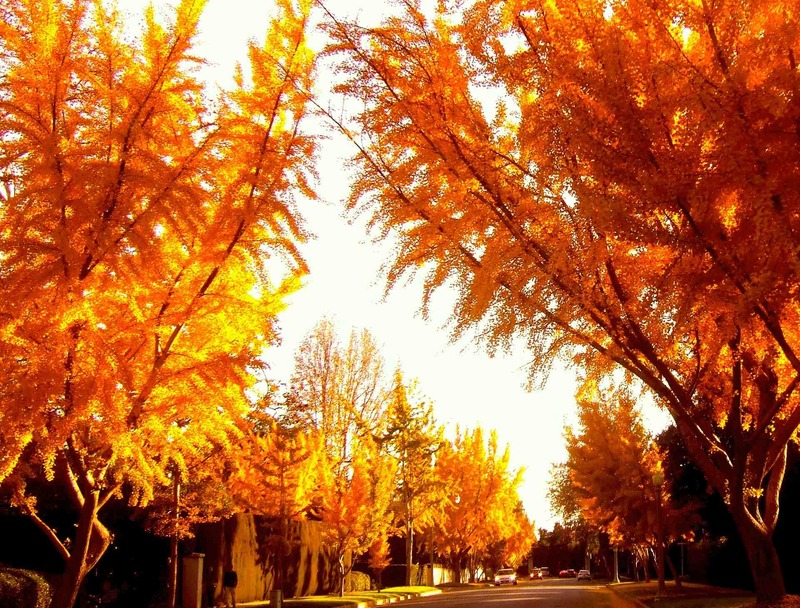 PACIFIC STANDARD TIME LA/LA is THE Blockbuster cultural experience in LA this Fall and Winter. Led the GETTY, the massive undertaking explores Latin America and Latino Art in dialogue with Los Angeles. Cultural Cocktail Hour will be covering individual exhibits this Fall and Winter. Pacific Standard Time LA/LA runs from September 2017 through January 2018. 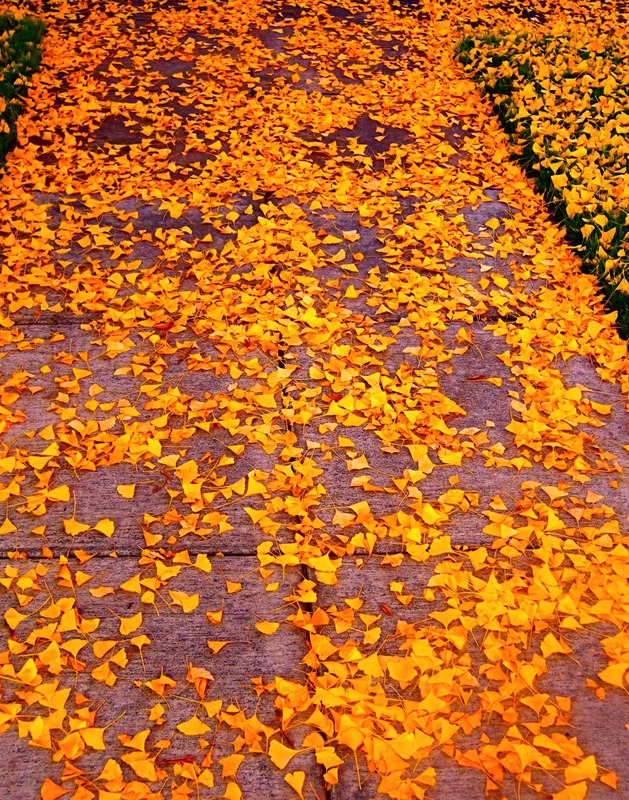 Photography has become an inescapable part of our daily experience. One cannot sit in a restaurant without seeing someone snapping a photo of their spring rolls, their Tinder date, or even themselves. A few weeks ago on the Pacific Coast Highway, on a particularly crowded weekend, the man in the lane next to me took a selfie while stuck in traffic. Hopefully, police will soon be ticketing drivers for the 2017 version of DUIs: Driving under the Influence of Instagram. For better or worse, photography is now ubiquitous. But at one point in America history, photography was not pervasive. In fact, as a medium it was breaking new ground in order to be recognized as an elevated genre worthy of hanging on museum walls. An intriguing exhibit at Christie’s depicts a time when photography was first recognized as an art form. The exhibit is in conjunction with a series of sales of more than 400 photographs from the Museum of Modern Art in New York. The sale will benefit the acquisition fund for the Museum’s Department of Photography. MOMA, founded by a coterie of “daring ladies” including Abby Aldrich Rockefeller, Lillie P. Bliss and Mary Quinn Sullivan, was the first museum in the country to establish a department devoted to photography. The photographs being auctioned at Christie’s include works by photography pioneers Alfred Steiglitz, Ansel Adams, Man Ray, and Henri-Cartier Bresson. What unifies the diverse iconic photographers is their ability to capture humanity through moments in time. One of Cartier-Bresson’s photographs epitomizes the elusive, decisive moment. The 1932 photograph, “Behind the Gare St. Lazare” depicts a mysterious black silhouette seconds before he alights from a ladder to a pool of water. The moment before his shoes get wet. Before his pants get muddy. In head to toe black, this anonymous soul could be anyone rushing to work. Yet, this is no moment of quiet desperation. Rather, the figure evokes a joyous freedom in his leap, paralleling the the image of le grand jeté, the exuberant jump of dancers featured in the posters behind him. Peeking from behind a gate, Cartier-Bresson embodies a fleeting moment poetically captured by a lens. This image inspires us all to engage with photography to reach new heights. 15 ¼ X 10 ¼ in. Southern California Residents, please email culturalcocktail@gmail.com a message about you think is missing in the LA Arts and culture scene. What do you think would MOST improve the performing arts in LA? The winning entry will receive a pair of tickets to the season opening performance of the Pittance Chamber Music! Deadline for sending your contest entry is Thursday September 7th. 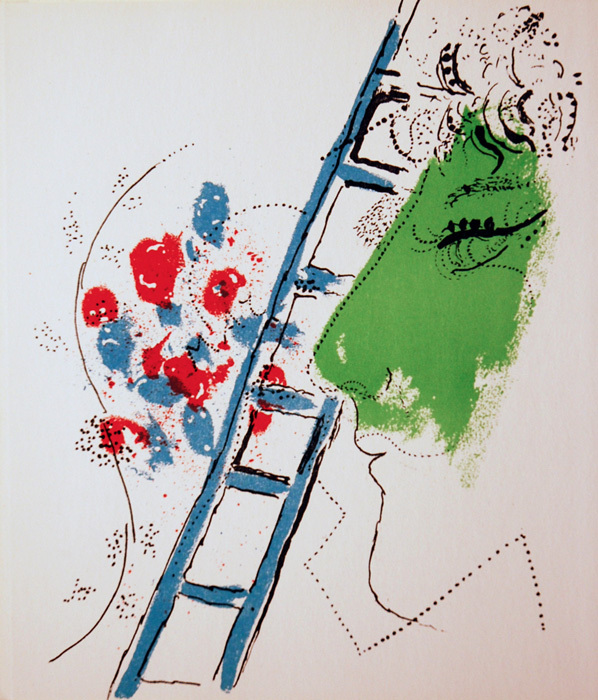 The season opening program program of Mozart, Berg, Brahms and Bernstein, featuring Principal players from the LA Opera Orchestra, along with Domingo Colburn Stein Young Artist, soprano Elizabeth Zharoff.